Last year when Pokémon GO came out, I was more than impressed by its implementation of GPS technology into a game. Not that it’s a bad game, but I became bored with it after about two hours. Admittedly, a big part of that is because I’ve never been a big fan of the Pokémon theme. I’ve never been entirely against it either, though. Pokémon was just a little after my time; it became popular when I was in eighth grade or so. I didn’t play any of the video games and certainly never watched it on TV. That’s why it’s just a surprise to me that I have finally caught the Pokémon bug in the form of the Pokémon Trading Card Game. It’s a bit of a guilty pleasure for me as I’ve always been somewhat against the Collectible Card Game model, but I’m learning to let go of my preconceptions about a game. 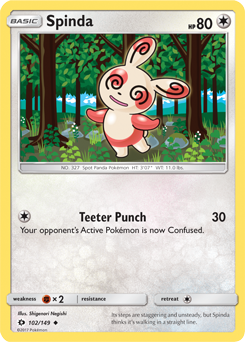 The Pokémon TCG is more and less what you would expect from a Pokémon card game. Each player builds a deck of cards that represent your Pokémon (mostly cute creatures from another world), trainer cards (items and support), and energy cards which you attach to Pokémon to fuel their attacks. Players unleash their Pokémon to battle against each other, which is essentially like cockfighting with mythical creatures. 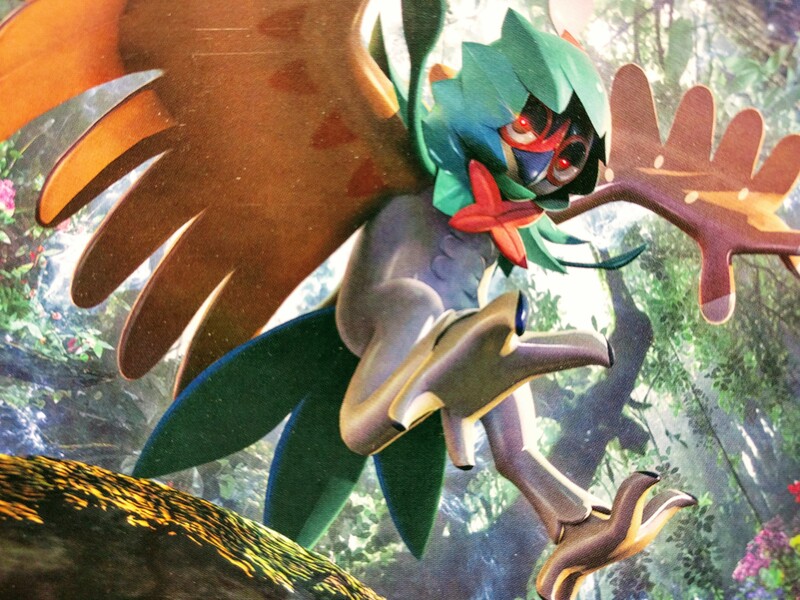 Where is PETA in the Pokémon world? The theme is as silly as it sounds, but the game is not quite as juvenile as you might think. There’s actually a bit of strategy, and at the Pokémon TCG is simple enough that a younger player can usually compete with an adult. I’ve been playing games my entire life, and Pokémon TCG has surprised me with its depth and variety. Just as it’s said about a book and its cover, one of the most important lessons I’ve learned throughout our four and a half years of operation at The Village Geek is to not judge a game by its appearance. I think what I’ve learned about Collectible Card Games is that the negative aspects they do possess are necessary to make them highly enjoyable. Like opposite sides of a coin, you cannot have one without the other. Being a part of a game community of people that you can trade and compete with is as rewarding as it is exciting. Learning to take advantage of those seemingly under powered cards and surprising your opponent also has real-world applications. The random, blind nature of Magic the Gathering booster packs (which I’ve always seen as a negative aspect of the game) enables the draft format, which is one of the most interesting and incredibly fun gaming experiences you can have with a large group of people. Being competitive at a Collectible Card Game isn’t for everyone, but that doesn’t mean that you wouldn’t have loads of fun playing it with your friends. They can create some of the most fun experiences among a close group of friends, and the Pokémon Trading Card Game creates that surprisingly well.